Lauren Alexanderis a Midwestern girl who serves along with her pastor husband, Seth, and four spirited children in a small Indiana town. Lauren‘s desire is to make connections with women from every walk of life and disciple them to greater maturity in Christ. 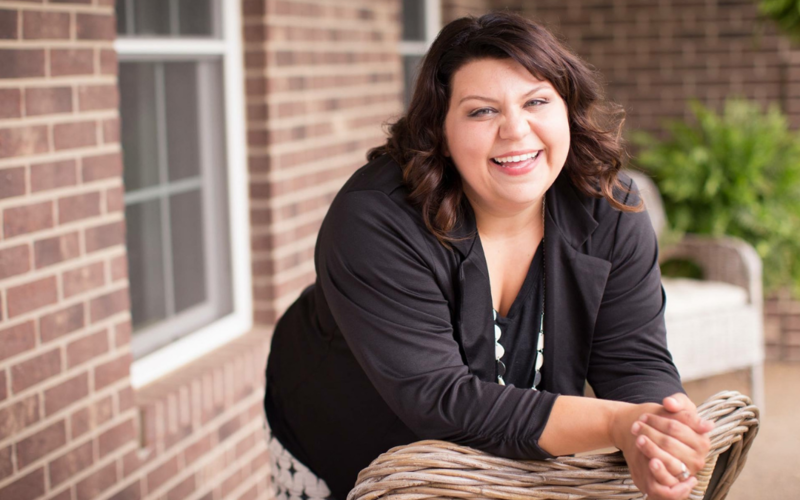 She does this by hosting an online community called All The Things and by teaching the Bible to groups of women at conferences, events, and retreats. She and Seth have a sweet spot for the local church, especially in rural and under-resourced areas. Lauren enjoys drinking coffee with her prayer group every Thursday, snuggling with her kids, and watching baking shows on television. 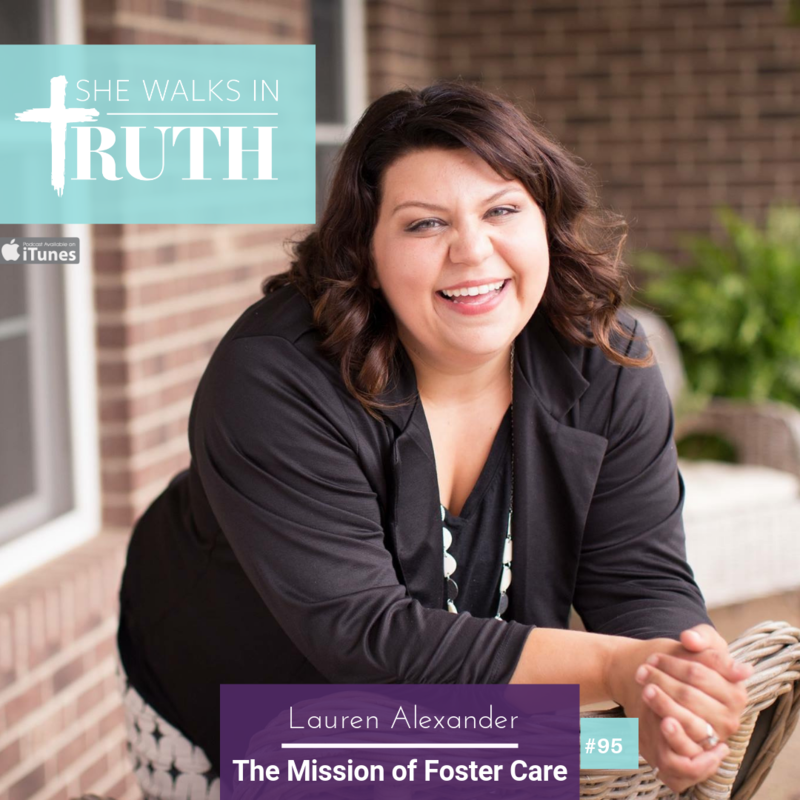 Lauren joins the She Walks In Truth podcast to chat about the mission of foster care based on her own life experience and story. She teaches us about the church’s responsibility to take care for the orphan. Lauren shares about the season of life that she’s in. She offers a beautiful Biblical perspective of administrating her family by using the spiritual gifts the Lord has given her. Lauren also touches on shepherding in the home. Lauren and her husband Seth had always talked about what their role might be in fostering children children in their community and caring for the orphan. They felt a sense of urgency to foster within their first month of marriage and within a few months of marriage they were licensed foster care providers and just a short while later they started fostering three small children. Not only did they get to foster them but they feel blessed to be able to adopt them as well. Just before the adoption was final Lauren and Seth found out they were expecting a baby and began praying the Lord would graft their family together in a way that only He could do. Lauren talks about the Scriptural mandate to care for the orphan whether it’s praying for foster families we know and serving them well or whether it means taking time as church families to reach out to the foster care community, you can’t avoid it in Scripture. As much as we may want to run away from that call because we know it’s going to cost us things like comfort, time, money or energy it’s good to turn around, repent and run toward it. Lauren gives details about a non-profit they founded to help foster families. She provides us with a picture of redemption with how God is using her kids to help other kids in the community and body of Christ. OIN THE AFTER PARTY Connect with Carrie and other sisterfriends who listen to the show by joining the after party in our She Walks In Truth private group on Facebook by clicking here. In the group we chat about the episodes and support one another on this journey called life!